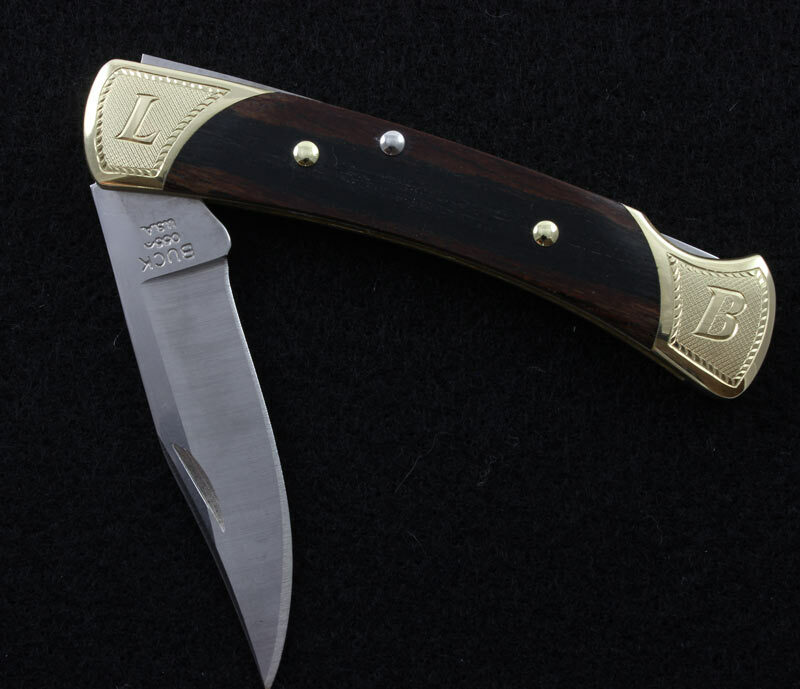 The Buck 55 is an heirloom sized version of the classic Buck 110 Folding Hunter. 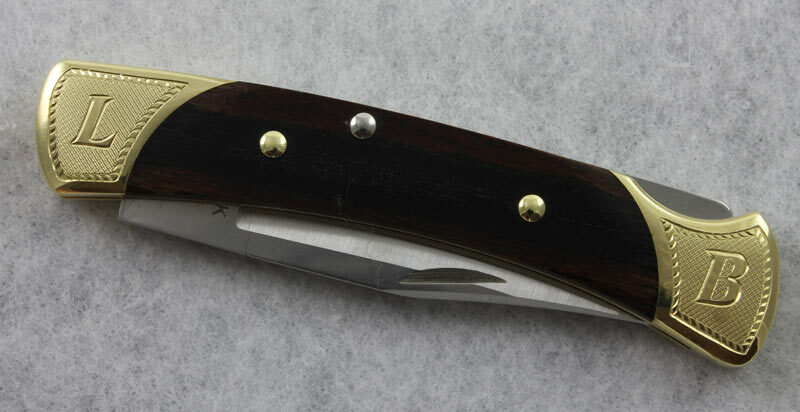 At half the size of the 110 hunter, the 55 is perfect for everyday carry use. It fits perfectly in a pocket and opens and closes securely thanks to a nail notch and lockback design. 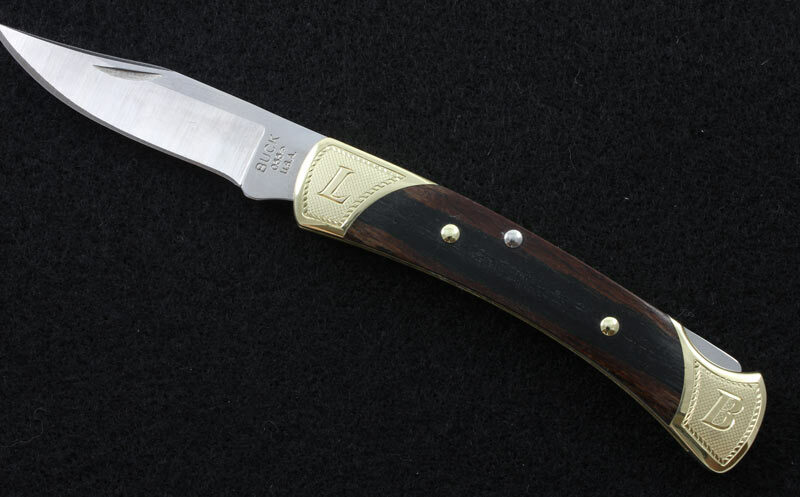 The 55 is constructed with natural wood grain handles and brass bolsters and features a 420HC stainless steel clip point blade. 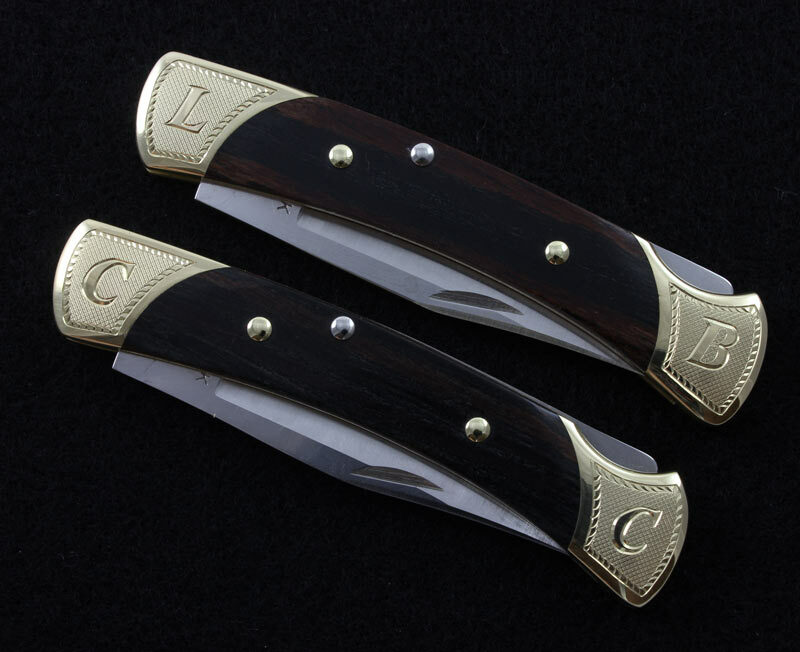 The blade measures 2-3/8 inches, the knife measures 3-3/8 inches closed, and weighs a scant 2.2 ounces. 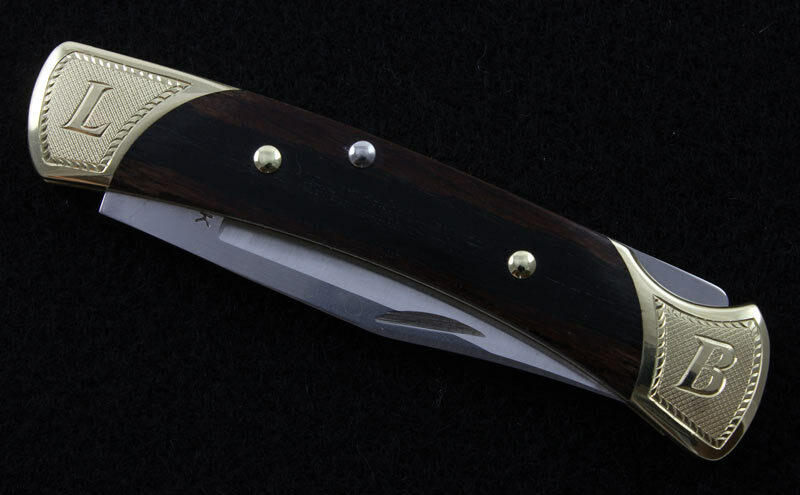 The 55, as with all other Buck Knives, features Buck’s 4-Ever Unconditional Lifetime Warranty. 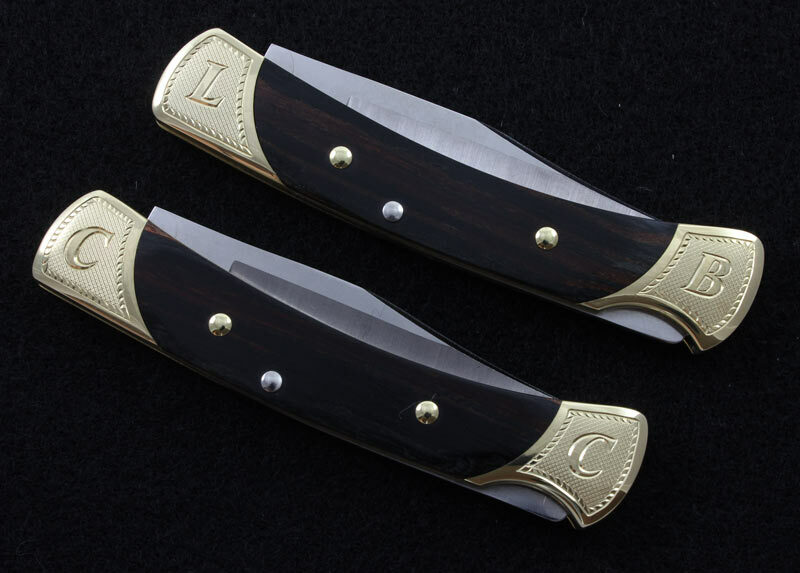 Engraving: The brass bolsters on each end of the Buck 55 are textured with a special milling process and then beautifully hand engraved with borders and personalized initials. Makes a very memorable and lifelong gift for a loved one or for yourself.